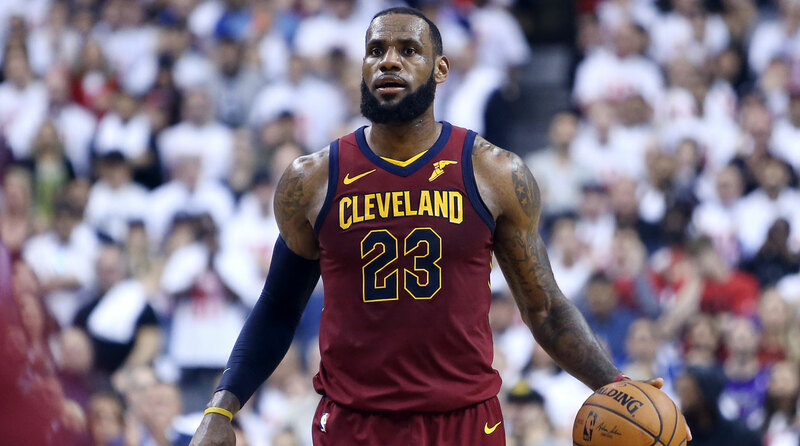 LeBron James has put together one of the best postseason runs of his career and is within striking distance of his eighth straight NBA Finals appearance. Can the emerging Celtics stop his reign? So much has changed since the Cavaliers and Celtics met in last year’s Eastern Conference finals. Heck, so much has changed since these teams met on opening night. Back in October, these were the two teams expected to meet in this position, but under very different circumstances. The Celtics have overcome injuries to Gordon Hayward and Kyrie Irving to make a surprise run to the conference finals, winning on the strength of a talented but young roster. The Cavs overhauled their squad midseason (Isaiah Thomas used to be on this team!) and looked to have one foot out the door in the first round, but LeBron James has put together one of the best postseasons of his career to be within striking distance of his eighth straight Finals. 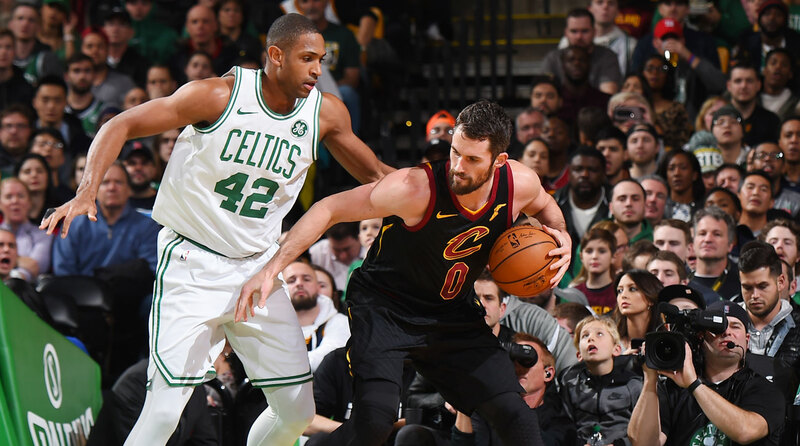 On the eve of the playoffs, despite how likely this matchup felt at the start of the season, it would be fair to say a healthy number of prognosticators didn’t expect to see Cavs and Celtics as the last two teams standing in the East. And yet here we are now, with arguably the league’s best coach and the league’s best player going head-to-head. We’ll miss Kyrie and Isaiah and some of the storylines we were promised on after a crazy offseason, but this series should still have plenty of intrigue. Most Intriguing Storyline: Can LeBron Put Together Another Magical Series? LeBron James has been incredible this postseason, even if words don’t quite do him justice. The Cavs haven’t quite been elite with him on the court (a plus-4.4 net rating), but they’ve absolutely collapsed without him (a minus-14.0 net rating.) Entering the playoffs, it was fair to wonder how much James had left in the tank after playing all 82 games in a drama-filled regular season. He’s responded by averaging 34.3 points, 9.0 assists and 9.4 rebounds per game, while shooting 55.3% on a whopping 23 shots a night. This is arguably peak LeBron. He is both high volume and high efficiency. He is hurting opponents from every area on the court. And in a tight game, there is seemingly no chance he’ll miss an important shot. Against Toronto, James put together two signature performances. In Game 2, he scored 43 points and dished 14 assists, connecting on turnaround fadeaway after turnaround fadeaway, gleefully torturing the Raptors toward their inevitable demise. In Game 3, James scored 38, including his almost comical game-winning runner that may force Toronto to change the direction of its entire organization. LeBron doesn’t just win playoff series, he alters the course of your franchise. What James is doing right now is remarkable to watch. He also got much more help from his teammates in the second round. If the Cavs role players continue to step up, and James keeps taking his game to new heights, there is no stopping this team short of putting four Hall-of-Famers on the court. If LeBron continues to bend the game in his favor at will, it won’t matter what Brad Stevens draws up on the whiteboard. He, like the rest of us, will be forced to watch what James does next. Unlike the rest of us, he won’t enjoy it. There are so many options for X-Factors in this series. Kevin Love, Cleveland’s bench, and Al Horford (among others) all come to mind as possible gamechangers. I’m going with Tatum, who could be asked to go toe-to-toe offensively with James despite playing in only his first conference finals. Stevens’s egalitarian offensive system means Tatum won’t be running iso after iso like James, but all of his scoring will be needed against the high-powered Cavs, who have the third-best offensive efficiency of all playoff teams. Tatum raised his game significantly in the second round. He increased his scoring average by nearly eight points from Round 1, and his field-goal percentage improved significantly as well. If Tatum takes another small leap, the Celtics will have a bona fide No. 1 option who can take the pressure off his teammates when the game slows down. If Boston wins this series, its success will start on the defensive end. But a strong offensive showing from Tatum gives the Celtics at least some semblance of a counter against James’s shooting theatrics. Kevin Love played so much better against the Raptors than the Pacers. Love averaged 20.5 points per game in the second round, shooting nearly 48% from the field. I expect Al Horford to spend a decent amount of time guarding Love, especially if both teams start the game big and finish small. Horford showed off his defensive versatility last series, guarding both Ben Simmons and Joel Embiid for significant stretches, and guarding them effectively. Love will try to pull Horford away from the basket, but Horford has the foot speed to keep up with him. This matchup could very well end up being a bellwether for the series. If Love is able to shake free and hit threes, or make Horford pick up some fouls in the post, the Cavs become much, much scarier. If Horford shuts down Love on defense and continues to make all the right plays that make him Boston’s best player, then Cleveland looks more like the team that was outscored by Indiana than the one that steamrolled Toronto. LeBron James is 8–9 in his career in playoff games in Boston. But he’s won his last six games on the road against the Celtics in the postseason, a sharp turnaround from early in his career, when he won only one of his first eight matchups at the Garden. In addition to six straight, LeBron has won seven of his last nine in road playoff games against the Celtics. He hasn’t lost to Boston in the postseason since scoring 45 points in Game 6 of the 2012 East finals. Meanwhile, the Celtics have yet to lose a home playoff game this year. They’ve been elite in Boston, winning all seven games there with an 8.3 net rating. Something will have to give in this series. The Cavs start the series in Boston, and they’ll have to win at least one road game to make it to the Finals. Whoever ends up breaking the other’s streak in Game 1 could go a long way in determining this series’s winner. I really don’t know. After spending time with the Celtics in Philadelphia, I really want to pick them. But I keep getting burned every time I pick against LeBron. At this point, I’d rather go down with the ship and ask for mercy from Boston later. The Celtics prefer an underdog mentality anyway, right?